Back from a special trip to India. I call it special because we not only went home to Bangalore this time...but also visited Delhi and Rajasthan. Rajasthan had been on my list of places to see for a long time...but could only make it now. Feels so refreshed and I am currently having too many things to blog. 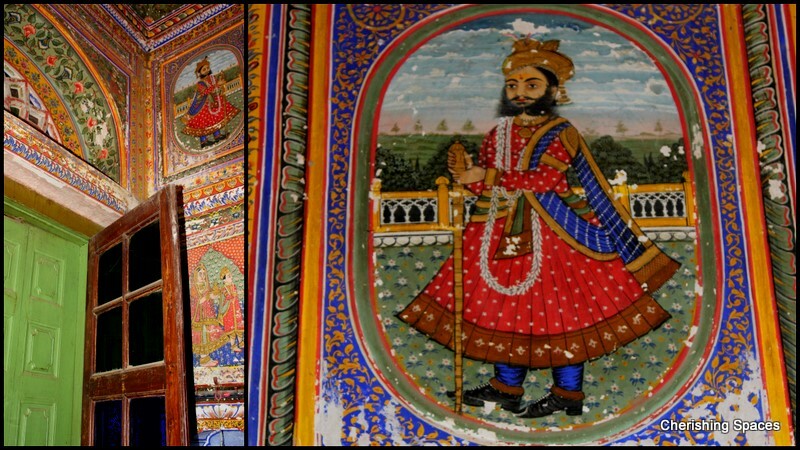 So, without wasting time.....here is a post on the Haveli town of Rajasthan.....Mandawa. 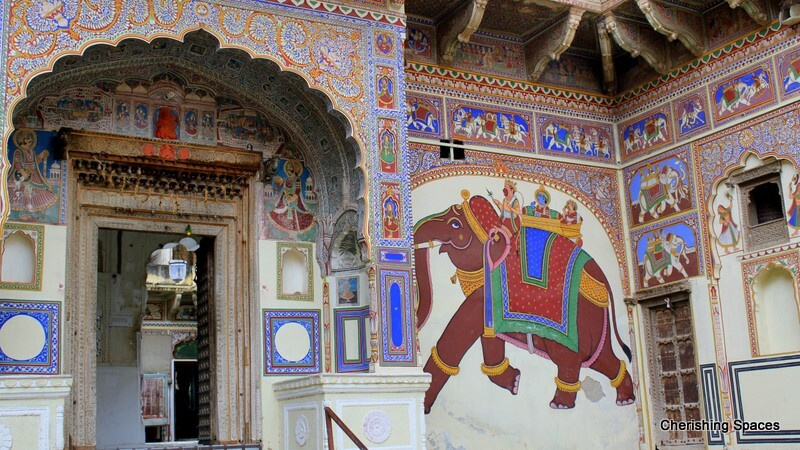 Most of the first timers to Rajasthan are advised to see this beautiful little town of Mandawa, which is roughly about 290 kilometres from Delhi by road. We were on our way to Bikaner and so stopped here for a few hours to see the havelis. 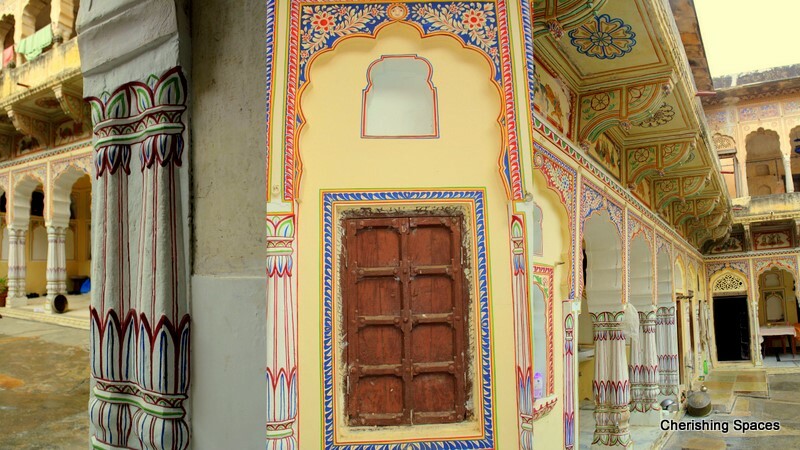 The guide told us about how Mandawa became famous as a trading outpost for merchants from China. Therefore, the large community of people still settled here are traders. 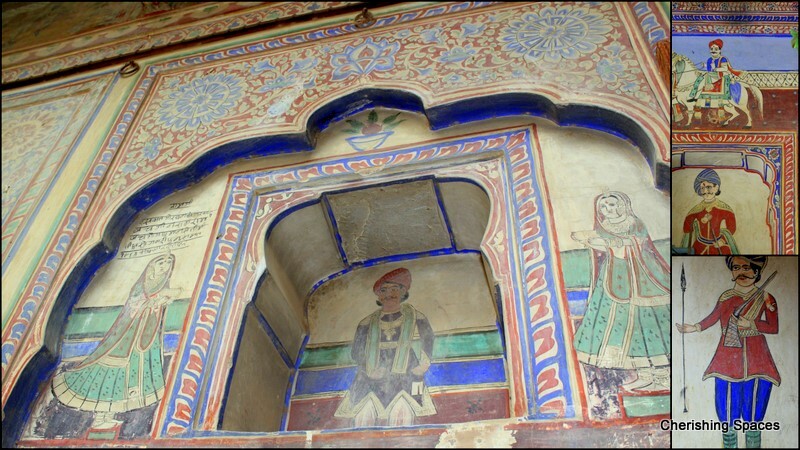 The whole town of Mandawa is all about FRESCOES........FRESCOES and more FRESCOES!!!!! In simple words...A Fresco is a mural where natural colour pigments are used with water and painted directly on wet plaster. 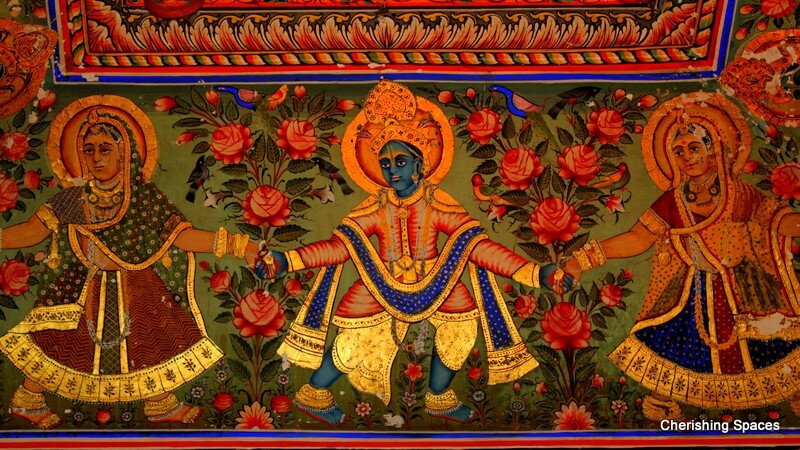 The pigments therefore get directly absorbed with the plaster and the murals brighten after they are dried. This is also one of the reasons why these frescoes last longer. I appreciate the effort of the localites in preserving this culture. 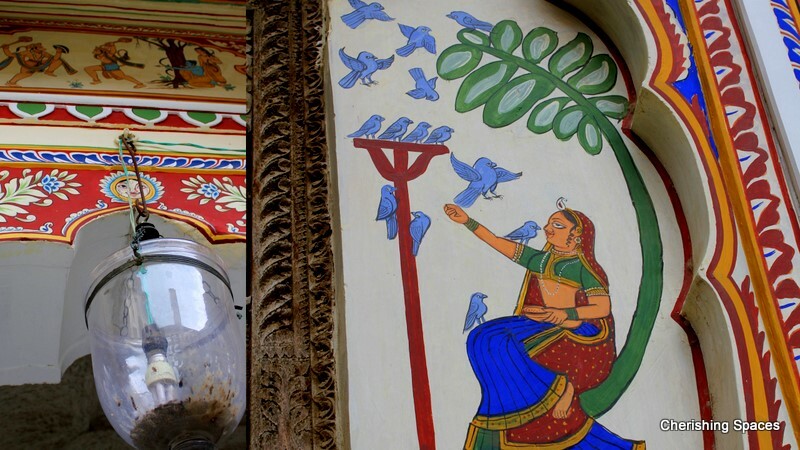 They still paint their houses and shops with beautiful motifs depicting rajasthani daily life. 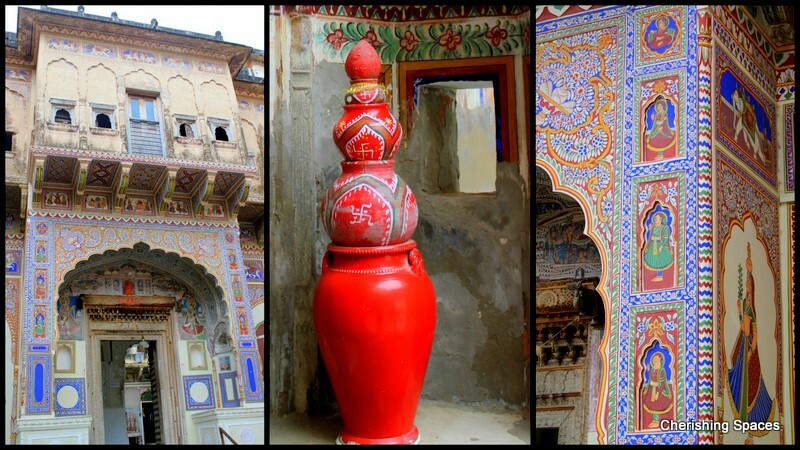 Most of these havelis are now converted to Hotels. 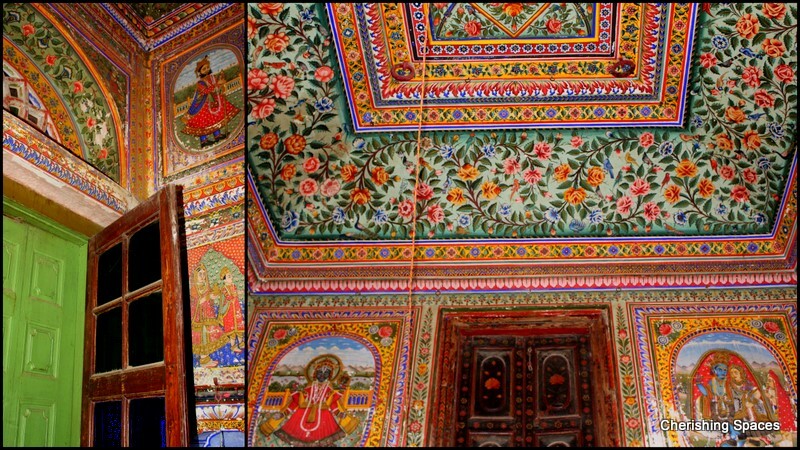 Out of the many havelis, we visited the Jhunjhunwala Haveli, famous for its gold leaf painted room. 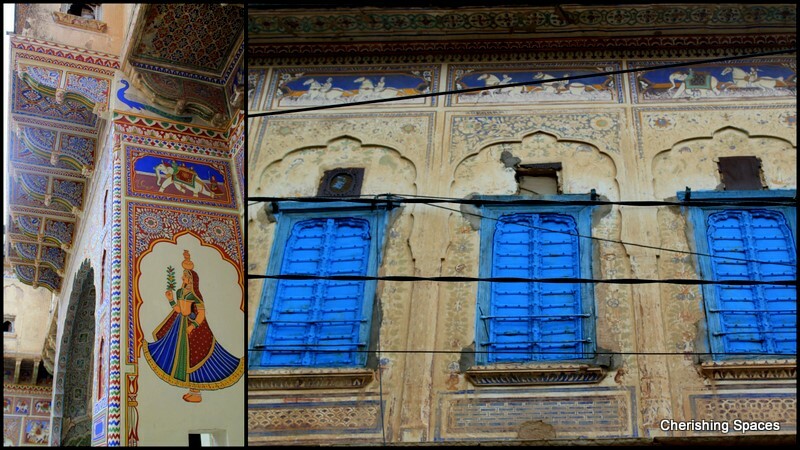 The Singhasan Haveli, which is again converted to a hotel and the Goenka Haveli. 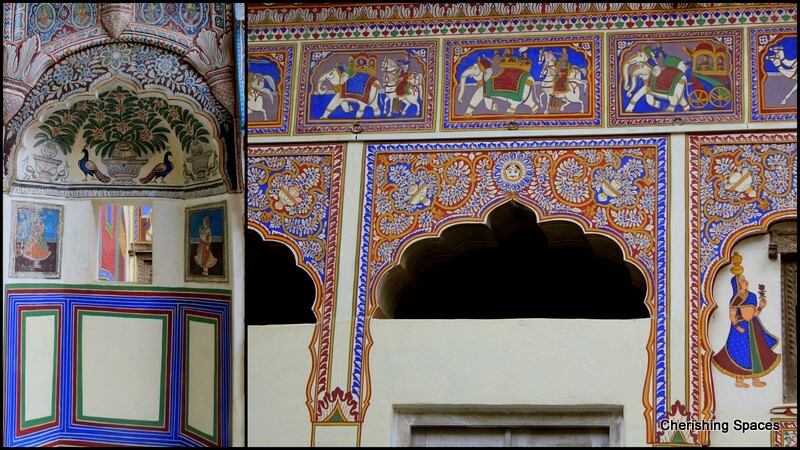 I was so totally lost in the beauty of these Frescoes that I almost forgot about my family starving after a tiring journey. With a huge craving for Gatte ki Subzi....we went looking for a restaurant. 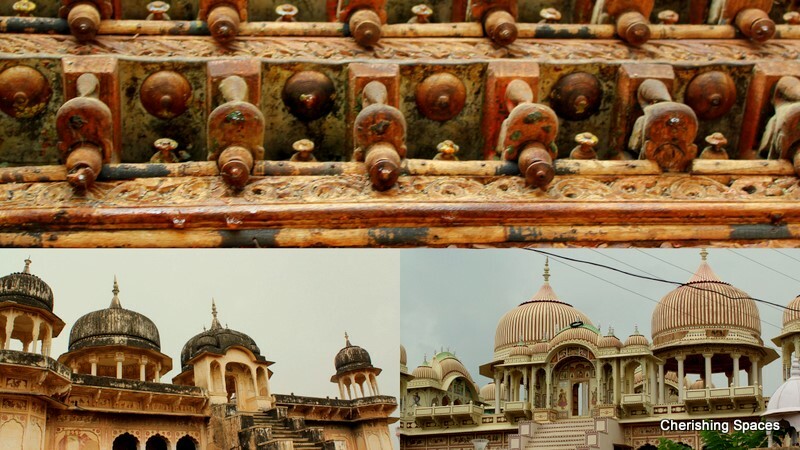 lovely images.we had been to mandawa some weeks back.yet to put up a post on that.we stay in delhi and from us mandawa being 5 hours,yet we could make it only this year..lovely. 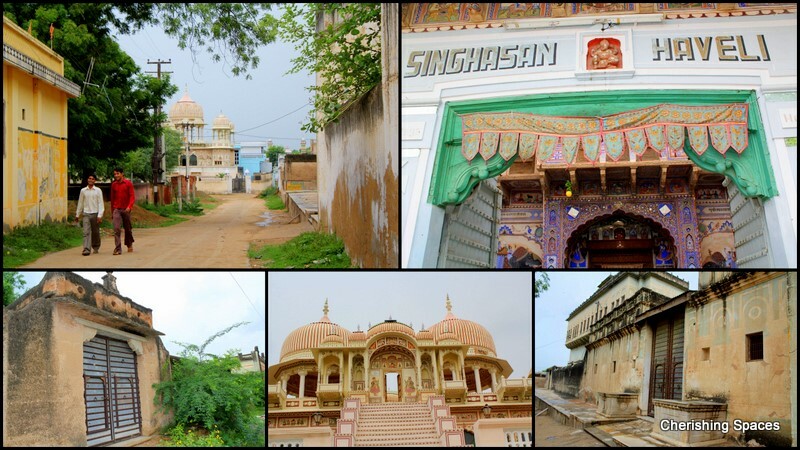 Very Nice Post Vasudha, looking forward to more on this series...can I use some pictures from here for a post of mine some time later this year..
Lovely pictures, very colorful just like the Rajasthanis, beautiful. Beautiful pics Vasudha! 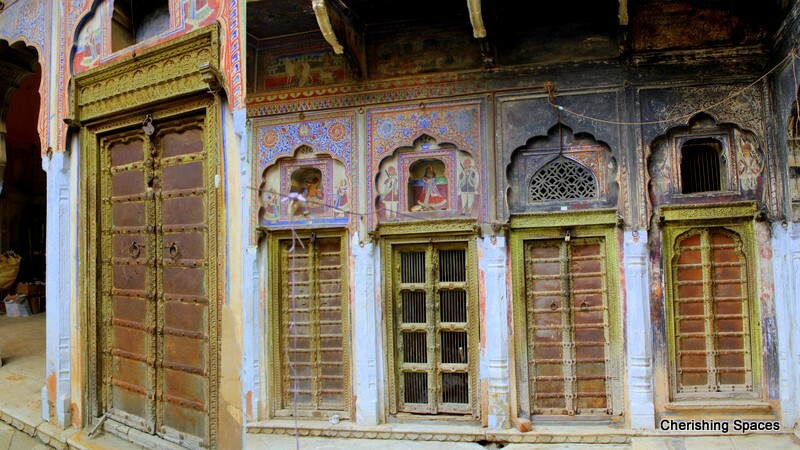 Loved the one with three doors and part of the paint work charred .. such character and beauty..
Oh what color and intricacy! Beautifully captured Vasudha. 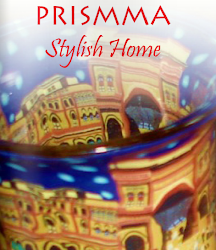 Rajasthan is indeed an awesome splash of color in the desert!